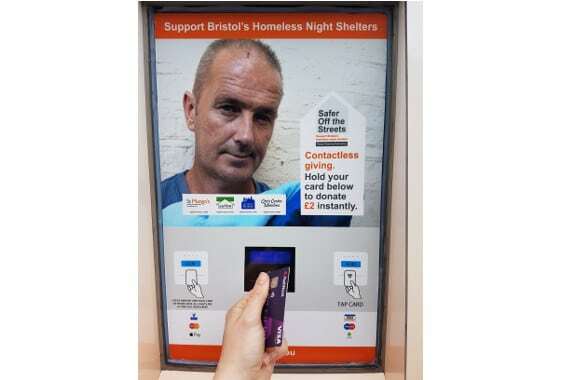 Contactless donation points have been set up across the UK city of Bristol to let passersby donate £2 (US$2.57) to the Safer off the Streets (SOS) initiative by tapping their contactless card against the contactless terminals housed inside the units. SOS is an initiative launched by the Rough Sleeping Partnership, which was set up by Bristol City Council to tackle rising homelessness in the city. Its aim is to raise £100,000 (US$128,600) for the city’s night shelters, which are run by St Mungo’s, The Julian Trust, Caring in Bristol and Crisis Centre Ministries. The Broadmead Business Improvement District (BID) is supporting SOS by donating the use of the units.